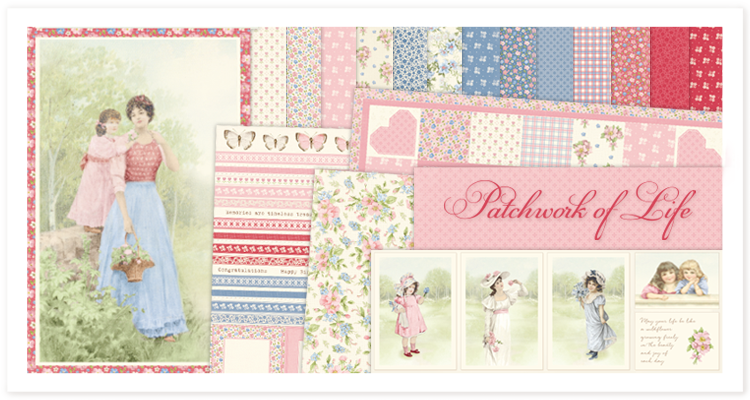 Patchwork of Life ~ Release! Oh my oh my, I almost can´t wait for them to be in the stores, so I can get to hold them in my own hands. They just look soooo gorgeous and sweet and I´ve already loads of ideas for the use of them,. Que de couleurs douces estivales ! I have been trying to purchase several of your collections from the dealers that are listed in the United States to no avail. How can I purchase your collections. There are several that I want so badly. I have written several times. Please answer this.